Come join your neighbors from Grand-Bates for a Friday the 13th Happy Hour at The Haunt from 6pm–8pm, or as late as you want to hang out. The Haunt is at 5000 Alaska Ave at Delor. The bar is running happy hour specials from 3pm–7pm, and bands will be playing later that night. There is no cover for this event, but a $5 cover will be collected at 8:30 pm for those who wish to stay and enjoy live music. 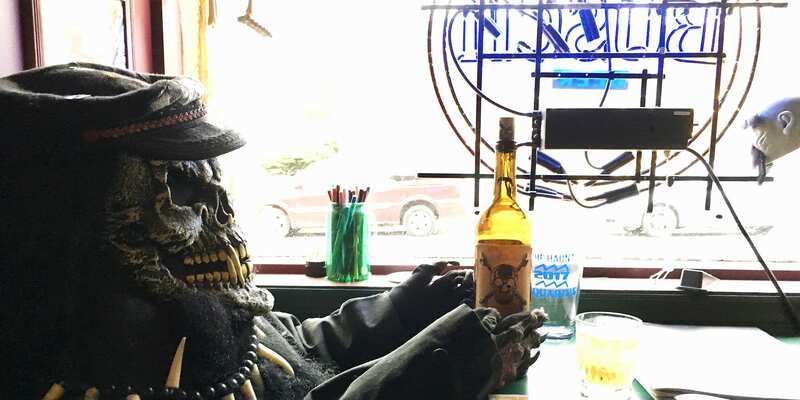 This is a non-smoking bar, with a spooky theme, and an eclectic crowd. Hope to see you all there! See more Dutchtown, Grand-Bates, and Happy Hours events.